7.0″ HD All Angle Viewing Screen set in a 215.5 x 180mm Landscape Hardback Cover. 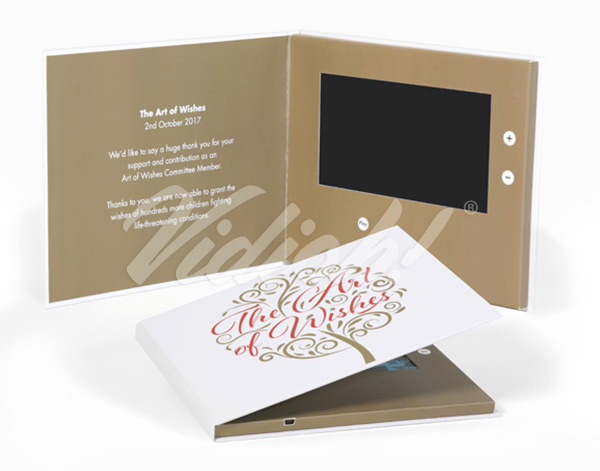 Vidioh Express Books are a powerful marketing tool that work as an excellent way to deliver your message, whether for proposals, pitches, product launches or highly personalised direct mail. Our Express Books are ideal when you require a fast turnaround as they are produced locally to us within the UK. We offer the added benefit of being able to personalise each book so that you are able to target individuals and increase the impact and effectiveness of your campaigns. 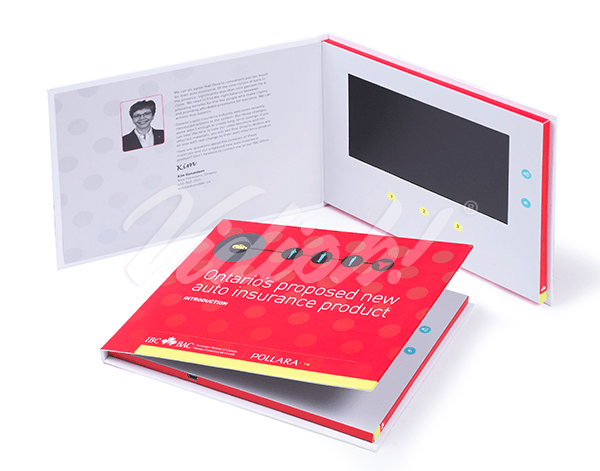 Each digitally printed hardback book comes with a 7.0” high definition all angle viewing screen, 512mb of memory and a 2 hour battery. You have the option of loading up to 3 videos and your book also comes with volume up and down buttons. Vidioh Express Books provide our UK customers with a unique, engaging product from a bespoke service which is second-to-none, enabling you to meet those all important deadlines. 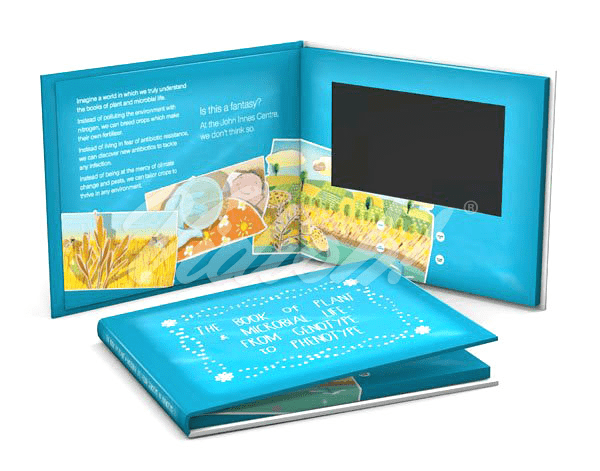 Below you will find a live example of a 7.0" HD Hardback Video Book that showcases its size and functionality. We'll work with you to clarify your needs, then we'll work even harder to make sure you’re delighted with the finished product. All we need to get started is a bit of information from you.